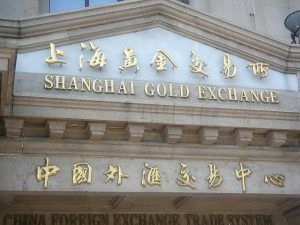 The Shanghai Gold Exchange (SGE) has evolved into the hub of China’s gold market over the last 15 years, and is now teaming up with more foreign peers. While it is the world’s largest gold producer and consumer, China didn’t play a major role in gold price fixing until 2016, when it introduced a new mechanism for benchmarking the gold price. This landmark move is aimed at building the country’s influence in the global market, which has been dominated by the UK and the US. Also known as Shanghai Gold, the yuan-denominated new contracts enriched gold trading with new standards and trading rules, and enabled foreign investors to participate in China’s growing bullion trading market. Market insiders and experts say Shanghai Gold is elevating China’s position in the international gold market. The SGE has been the world’s largest physical gold exchange for 10 consecutive years since 2007. However, as the gold price is denominated in US dollars, market insiders believe that the old pricing system cannot reflect the real market situation in different regions. Positioning itself for global pricing, the SGE aims to find price discovery among its members, local or foreign, who are buying or selling physical gold. Because the SGE is primarily a physical market, its pricing will represent a true balance of supply and demand, industry observers said.